During the Prepalatial Period (2700 to 2000 B.C.) 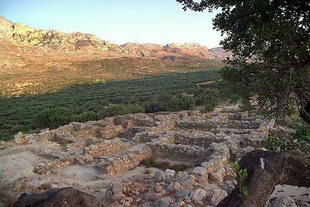 important settlements appeared for the first time in Crete. 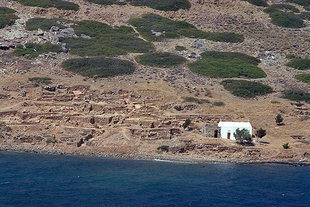 The settlement in Vasiliki, Ierapetra, is such an example. Vasiliki dominates the shortest distance axis of Crete (between Ierapetra and Mirabelo Bay), and the sailors preferred to unload their merchandise and carry it overland from the north to the south sea of Crete or vice versa instead of sailing around the dangerous Cape Sidero. A large building with laboratories and storage rooms giving the impression of an organized settlement was found in Vasiliki. 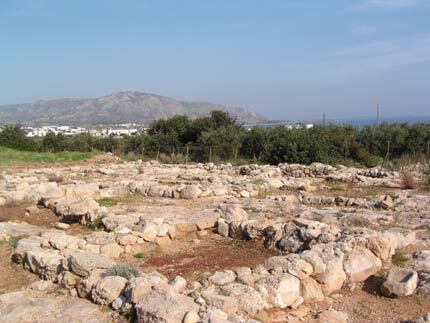 In the south of Crete, near the shortest axis, excavations near Mirtos have uncovered a settlement on a hill with architecture similar to the villages of modern Crete. 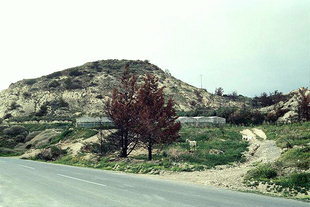 Other settlements of this era have been found in Mochlos, Festos, and Knossos. There is evidence of trade with the Aegean Islands, Egypt and Cyprus (for copper imports) in this time period.